In the past few years, the greens of those bright yellow weeds that sprout up in the spring, aka dandelion greens, have garnered quite a bit of attention, earning them a space at farmer’s markets and supermarkets alike. What better way to celebrate Earth Month than by taking a bite out of one woman’s weed and making it a culinary treasure in your kitchen? 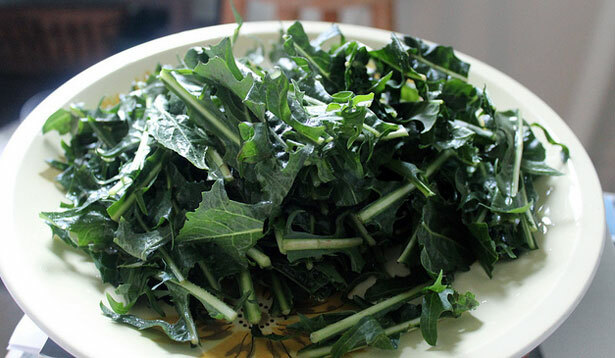 Best in spring, when they’re young and tender, dandelion greens are said to aid digestion and have been used to treat conditions affecting the liver, kidneys and gallbladder, according to the University of Maryland Medical Center. 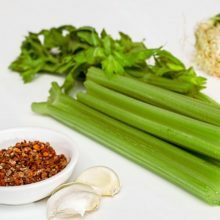 High in vitamins A, B complex, C and D, and minerals including iron, potassium, magnesium, calcium and zinc, I consider them a part of the super-green food category, along with the well-loved kale, chards and other hearty varieties. 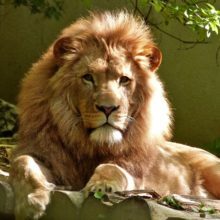 The more bitter of the bunch, eating dandelion greens when they’re young and tender is your best bet to avoiding the sometimes-overwhelming bitterness (which some people love) found in the leaves when the plant flowers. While some like to eat dandelion greens raw, I prefer to combat a bit of the bitterness by cooking it. Simply sauté the greens with some garlic and olive oil, and add some optional red pepper flakes for some heat. Also, salt will help cut the bitterness of the greens, so if it still tastes too bitter for you, try adding a little more salt. I also experimented with some apples that were still available at the farmer’s market (due to seasonal overflow!). And while avocados aren’t necessarily seasonal, I used some to pair with the apples to create a versatile escape from the savory bitter taste of the greens. While I plated my apples and avocado separately, try layering them on top of your toast, then topping with the greens and egg for a pleasant surprise. You can be sure that I’ll be stacking my toast high next time. In a 10- to 12-inch pan, heat the EVOO over medium-high; sauté chopped garlic and red pepper flakes until garlic is fragrant, 10 to 30 seconds. Add dandelion greens and saute briefly, covering all leaves in the oil. Add water and ¼ tsp salt, turn heat to medium low and cover. Stir occasionally and add more water if necessary. Greens should be tender in about 3 minutes. Season with salt. Meanwhile, toast bread in toaster. 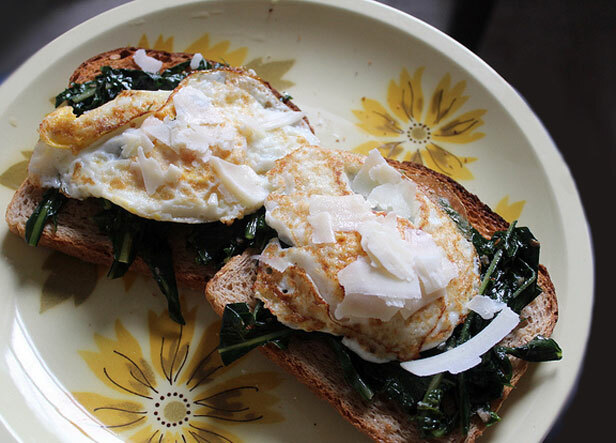 Put toast on plates and top with greens and eggs, either fried or over easy (or poach them for a healthier alternative. Just remember that the soft yolk is key!). If your bread is on the crunchy side, feel free to drizzle some of the liquids from the greens on top. If you’re using the apples and avocado on the toast, top first with apples and avocado, then add greens and fried eggs. 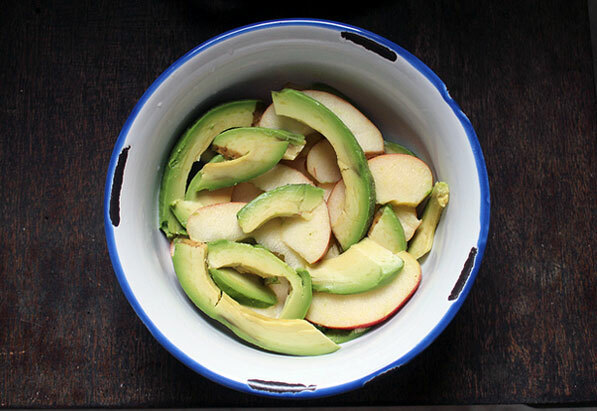 The apples and avocado are just as tasty on the side, too! For a slightly more indulgent variation, top with some shaved Parmesan or other cheese.